uMhlanga Rocks is once again awash with fairy lights this festive season as the uMhlanga Urban Improvement Precinct (UIP) switched on its’ Christmas lights. This year, thanks to the support of local property owners, and lighting specialist MK Illumination, uMhlanga Rocks will welcome visitors with twinkling LED lights from the first traffic light off the M4 right down Lighthouse Drive to the Village Green, down towards the Beverly Hills Hotel and through Chartwell Drive in the Village. 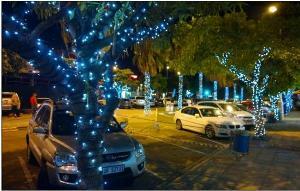 Throughout the first week of December, the UIP operation teams has been installing almost 5000 metres of white LED, festive lights in uMhlanga Rocks with almost every tree in the designated area dressed in the festive spirit. “During the 2012/2013 festive season, lights were re-introduced to the public space, with small installations on the Village Green. The response from businesses, tourists, residents and the general public was so positive that the UIP endeavoured to grow the project and year on year we have done this, to the point where next season we will look at exciting focal features,” said UIP project leader Brian Wright. Special thanks for their sense of community and supporting the festive spirit this year go to Chartwell Centre; Granada Square; The Oysters; Protea Mall; Lighthouse Mall; The Oyster Box and uMhlanga Centre. The lights used are all high quality LED lights that can withstand the rigors of outdoor wear and tear. They draw low power and can be used again and again which ensures the longevity of the project. The lights are installed by qualified electricians and the project is maintained 24/7 so that if there are any problems, they are immediately repaired. 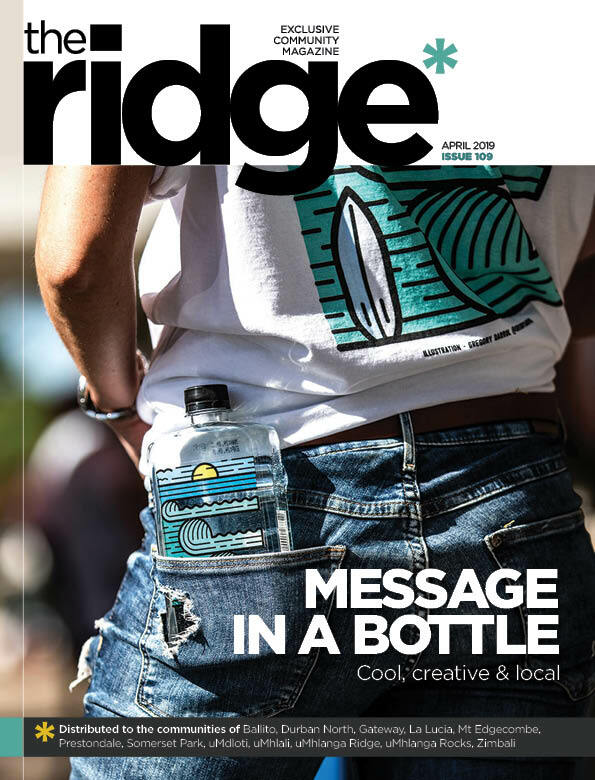 “These sorts of projects are long term place-making initiatives that will deliver an exceptional sense of place, creating memorable experiences for those visiting, working and living in the precinct,” said Wright. For more on the UIP, go to www.umhlangauip.co.za.